The project involves the construction, equipping, and staffing of an Early Childhood Centre in Dadaab. The Humankind Academy opened in January 2014 and had 71 students. The school expanded to a total of 150 students in January 2015. The children take two years of early education until they are able to enroll in the primary schools. 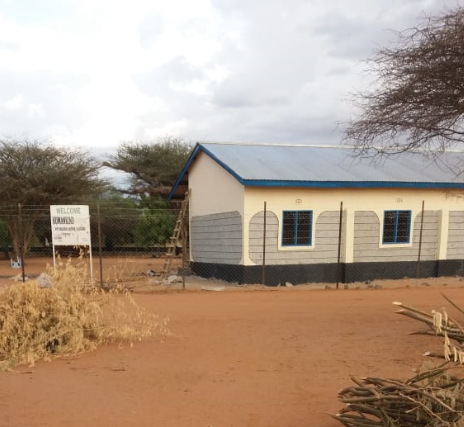 The school has three classrooms, an additional room to act as an administrative office, training equipment for the three programs, an electrical generator and solar equipment to provide power. The school has been enormously successful since inception and the need continues to grow. In collaboration with fellow Rotarian Muuxi Adam of HKI our club decided to support the initiative by raising the necessary funds and building 2 additional classrooms at the Centre so that more children can be admitted. Construction of the 2 additional classrooms was completed end of February, 2019.